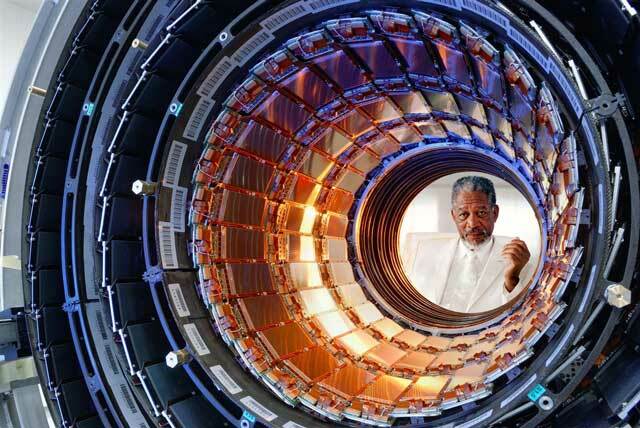 Scientists at CERN have uncovered the mysterious God Particle inside the Large Hadron Collider. It’s Morgan Freeman. The $9 Billion Large Hadron Collider positioned under the French, Swiss boarder recently uncovered a ‘smoking duck’, that quacks like a Higgs Boson and walks like a Higgs Boson. The so-called God Particle could shed light into the building blocks of the universe and how various forces interact with one another. Needless to say, Morgan Freeman is pissed.